(a) Place the rear seat assembly RH in the cabin. (b) Temporarily install the 2 bolts on the front side of the seat. 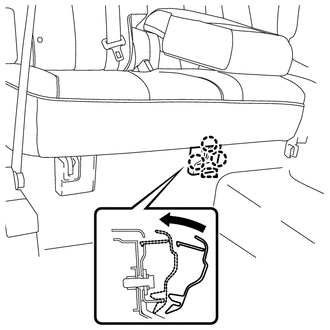 (c) Temporarily install the 3 bolts on the rear side of the seat. (d) Install the rear seat assembly RH with the 5 bolts. 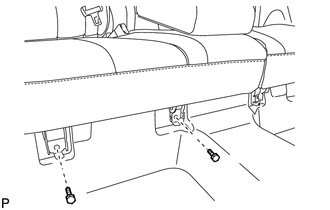 (a) Connect the rear seat reclining control cable as shown in the illustration. 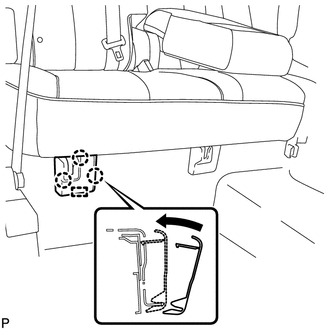 (b) Connect the rear seat reclining control cable sub-assembly as shown in the illustration. 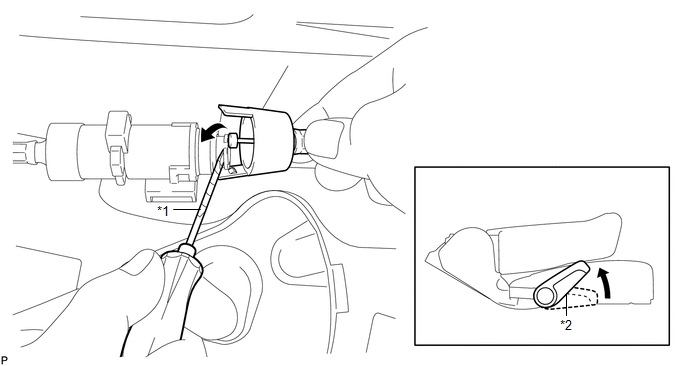 (c) Engage the 2 claws and connect the rear seat reclining control cable sub-assembly as shown in the illustration. (d) Return the seatback to the upright position. 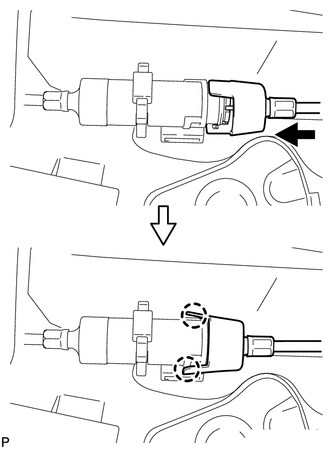 (e) Pull up the adjuster's lock piece to lock it as shown in the illustration. When pressing the lock piece, make sure the adjuster's spring is not compressed. 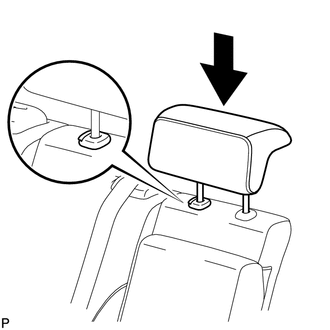 (a) Engage the 3 claws and guide, and install the rear seat outer track bracket cover as shown in the illustration. 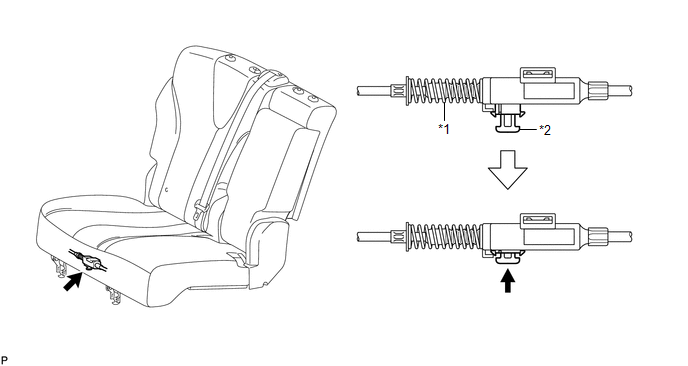 (a) Engage the 3 claws and guide, and install the rear seat inner track bracket cover as shown in the illustration. 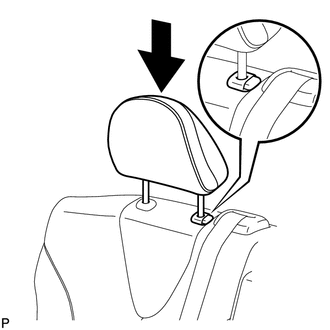 (a) Install the rear seat center headrest assembly as shown in the illustration. 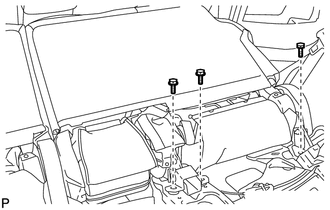 (a) Install the rear seat headrest assembly as shown in the illustration.